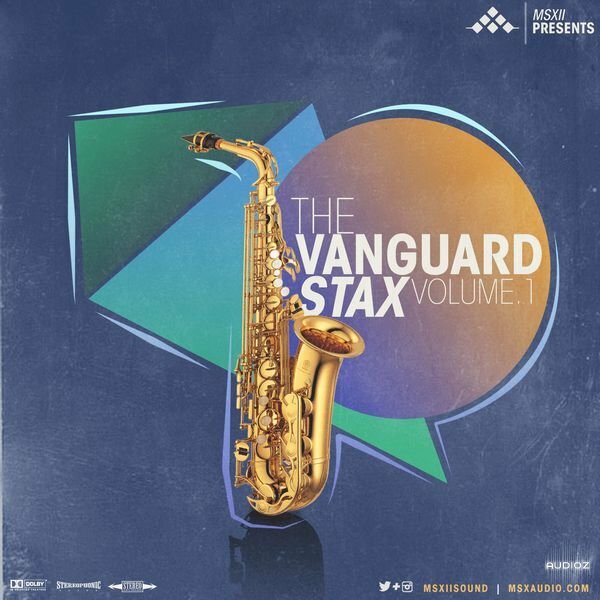 MSXII Sound Design is extremely proud to present The Vanguard Stax Vol. 1. When you need plush, jazzy, soulful saxophone backings, stacks, solos, & arrangements, The Vanguard Stax has you covered. Accomplished jazz specialist & saxophone master Vandell Andrews joins the MSXII camp bringing incredible styles and expertise to the world renown MSXII library. Volume 1 is centered around 25 compositions--leaving with options of stems (all individual tracks/harmonic "stax") and unison builds. There is so much to chop, flip, mangle, or simply build full ideas around in this sample pack. Tracked with a Cannonball Big Bell Global alto and a Yamaha YTS-475 tenor sax, this pack leaves you simply inspired. Be champ, cop The Vanguard Stax Vol. 1 asap! Compatible with all DAWs, samplers, programs, & iOS apps/devices that accept .wav format. License PDF available within pack. MSXII The Vanguard Stax Vol 1 WAV-DECiBEL has been exclusively released on AudioZ by DECiBELLE who chose to ask not to post mirrors.